Saint John N.B. Area Coupon Swappers: Swag Bucks Earn free gift cards for taking surveys, watching TV, getting deals and more. 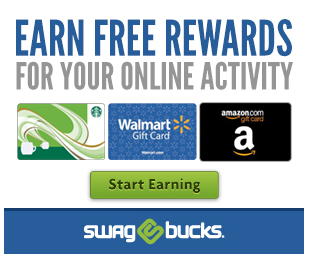 Swag Bucks Earn free gift cards for taking surveys, watching TV, getting deals and more. Reward Yourself. Earn free gift cards for taking surveys, watching TV, getting deals and more. Over $60 Million paid to members. Join Today!